Fire problems are a huge inconvenience no matter when they happen. We understand how important response time is. 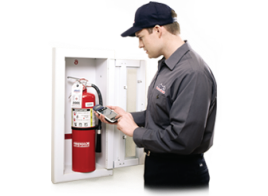 With our same-day service as well as emergency service will handle all of your fire and fire-safety related problems effectively and promptly each time you need us. Our history of timely and reliable service sets us apart from our competitors. We realize you have many choices for fire-related service providers. We take pride in our highly trained service technicians. They are among the best in their field. They are courteous, knowledgeable, skilled, professionals. They will take time to explain all your service options and costs to you before they begin any service work. We serve an extensive service area. For more details about our service area or for questions about any of our available products and services, please call (901) 363-3240 or email us at bellfire@att.net.